Note to all sons, daughters and wives: I am pretty sure Dad doesn’t want a tie or a shirt this year for father’s day. This is day of the year that you have to break away from the ordinary and come up with something new to please Dad on his special day. Show your appreciation this Father’s Day by taking dad to one of these fancy restaurants that offer great food plus something a little extra. About Thyme is a laid back restaurant located at the Junction of Peponi and Eldama Ravine road. An amazing spot with cool atmosphere and since Father’s happens on Sunday take advantage of their amazing Sunday brunch. Their menu is inspired by eclectic international tastes which I promise will ignite your Dad’s taste bud. Bamboo overlooks the beautiful Zen Garden. Located in the secluded environment of Spring Valley, Bamboo offers a relaxed ambience, perfect for father’s day outing. Their exquisite menu is one you will thoroughly enjoy! Tucked away in the magnificent West End Towers along Waiyaki way, Colosseum is is not your ordinary Italian diner. It is stylishly designed and offers authentic Italian cuisine including the best pizzas, sandwiches, pasta and pastries. Located in Westlands at the Viking House along Waiyaki Way, Fogo Gaucho is your Brazilian go-to meat place. What makes Fogo a real meat heaven for me is that with your dad, you can sample a wide array of all you can eat meat-cuts buffet for price 2000 for lunch and 2150 for dinner. Furusato is one of the best places to have Japanese cuisine. Located along Ring road off General Mathenge drive, they offer friendly service and quality food that will make your dining experience unforgettable. They specialise in real Japanese food; Sushi, Sashimi, seafoodand Teppanyaki among others. Osteria have fantastic food with the favourite being the authentic Italian pizza. They also have a great drinks menu, just in case Dad wants a cheeky cocktail. Arrive early and grab a table on the terrace to enjoy good food over a great view. Popularly known as “The African restaurant in Paris”, Le Palanka is located at 909 James Gichuru Road and has a unique range of menus, which are a fusion of innovative and traditional African cuisine. Why not try your Dad for a cool African food? If you’re looking for the freshest seafood, Ocean Basket is the place to be. Conveniently located at the ground floor of Oval, Westlands Ocean Basket features an al-fresco terrace, sushi bar and fantastic service. 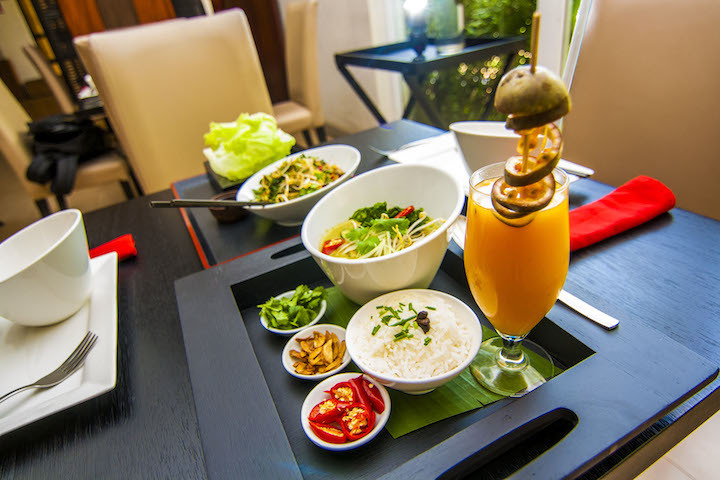 If you ever need some Thai cuisine in a modern ambiance with great service, Soi at dusitD2 is the place to visit. Im sure your dad will love it and with the 10% discount thanks to the Yummy Card, you can spoil him as much as he wants! Located at Kolloh road, Lavington, Tokyo restaurant provides great tasting meals at great prices and the inevitable presence of sushi platters with vegetarian options. They also feature Japanese culinary delicacies like Toro and Akami.